Following an appeal by the US animal breeding company B&K Universal, the Planning Inspectorate, headed by the Secretary of State for Communities and Local Government, Rt. 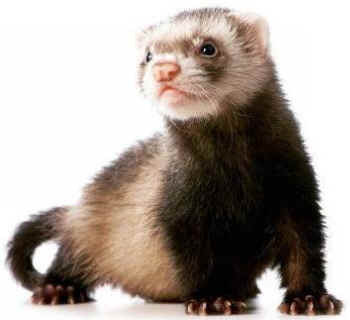 Hon Greg Clark MP, has overridden the local council refusal for planning permission and has allowed the expansion of a beagle and ferret laboratory breeding facility in Grimston, East Yorkshire. 2,000 beagles can, and undoubtedly will, be bred and housed in huge sheds in Grimston, the majority will die in a laboratory. Tell Rt. Hon Greg Clark MP to respond to you directly about his department’s decision that will result in death for thousands of animals. I am outraged by the Planning Inspectorate’s decision to give permission to Yorkshire Evergreen on behalf of B&K Universal to expand their laboratory breeding farm in Grimston. How can the government justify this decision given its policy of reducing the number of animals used in experiments? I am more than disappointed to see that you have overridden a local council decision, as well as not considering local and national public opinion on this matter. Over 100,000 people have signed petitions and thousands objected to the planning proposals made on behalf of B&K Universal by Yorkshire Evergreen. I am also shocked that permission has been given to a company whose vet and managers were convicted in Italy in January 2015 for animal cruelty and illegal killing of animals at their parent company’s breeding facility in Montichiari, Brescia. A company whose care towards animals in their Green Hill facility according to Italian magistrates was "inadequate, untimely, ineffective and short-lived." B&K Universal is owned by US multinational animal supplier, Marshall BioResource, which also owns Green Hill - a now-closed laboratory animal breeding facility in Italy. 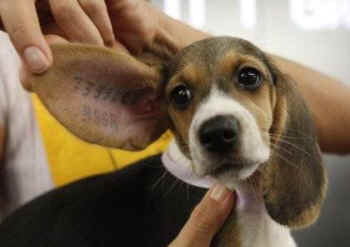 In 2012, 3,000 beagles were seized from Green Hill in Italy following a massive campaign led by Fermare Green Hill. In January 2015, 2 managers from Green Hill and the company’s vet were convicted for the crimes of illegal killing of beagle puppies and adult dogs, as well as for animal abuse. Ghislaine Rondot, until June 30th 2015, was the European Executive Manager and Director of B&K Universal UK and Yorkshire Evergreen, she was sentenced to one year six months in jail for the illegal killing of animals and animal abuse. Her professional activities were also suspended for two years in Italy. Her sudden replacement was clearly a move to try and sweep under the carpet the abuses that occurred at Green Hill under her management. The conviction of managers and a vet is the conviction of a company. A company whose care towards animals in their Green Hill facility according to Italian magistrates was "inadequate, untimely, ineffective and short-lived. Animal Justice Project is outraged that despite government policy of reducing the number of animals used in experiments thousands of dogs and other animals will be bred in Grimston and sold to laboratories to meet their deaths. Animal Justice project is shocked that the government hasn’t listened to people and has put big business profit and animal exploitation before public and local council opposition to the expansion. Over 100,000 people have signed petitions opposing it and 1,000s officially objected to the planning proposals. Celebrities and personalities such as Brian May, Ricky Gervais, Mark Radcliff, Peter Tatchell and Peter Egan have spoken out against the expansion of this beagle breeding farm. During 2013 in the UK 3,554 dogs were used in experiments. This is an increase of 10% from the previous year. The majority of whom were beagles.